We have recently incorporated the use of stress dolls into our work. These have proved a valuable tool for young people who have acute anxiety and some who self-harm. They are not only very therapeutic but great fun and have been a great success. High praise from a grateful mother after eq helped Ben to re-engage with his education. Meet Berry, the latest addition to the eq team! We are sponsoring Berry as she takes her first steps towards becoming a fully trained guide dog. She is just six weeks old in this picture and has a bubbly personality and a very enthusiastic tail! Click here to watch Berry's first "training" session! We'll be posting regular updates on her progress so keep visiting our website to find out how she's getting on with her training. Sponsored guide dog puppy Berry is at Pupdate 1 stage. The video shows Berry as she grows up with her puppy walkers, learning the basic skills needed to become an amazing guide dog! 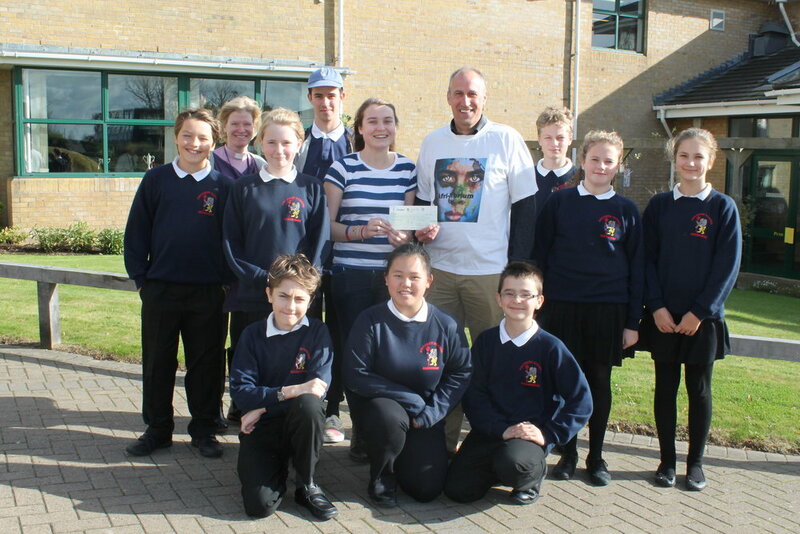 Students from The Gryphon School presenting Paul Williams Director at eq, with cheque towards Afrilibrium. Bradley with one of the many carp he caught on an activity day with eq. Bradley won 'catch of the month' in the BVM Magazine's competition. Preparation for Working Life students spending a day with the Army, developing team working skills and developing new understandings about themselves. eq students enjoying a paintball day at the end of a successful school year. Toby's first public performance at Open Mic Night in Poole. eq mentor, Phill, as portrayed by Ryan. Nice one Ryan! Josh proudly displays his first attempt at stonecarving. It's of a horse that he has been working with at the local stables that he attends. A second commission is expected during 2018 which will be placed in the wall of the new stables at Portland Bill where it will become a permanent feature.